This is my first of hopefully many posts to come. I figured maybe a little background credentials on my part are in order, maybe a quick little directional note, and some meaty stuff. Who knows, let’s see where the rabbit hole takes us. I’m the third generation of my family to work in the wine industry. 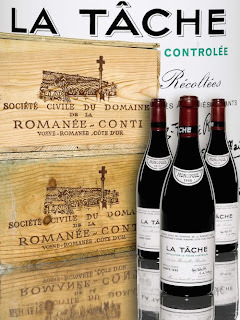 In addition to my new post at wines.com, I’ve worked for Jean-Louis Trocard in Bordeaux, and most recently I was working with the largest wine and spirits retailer in Texas, Spec’s. Apart from that, I went to Duke University in North Carolina (as an aside I am petrified of Louisville… if anyone follows college basketball). As far as the blog goes… I’m really leaning towards making this informative, yes; I’ll post tasting notes, industry news, etc. but really this is meant to be entertaining. I like making pop-culture references, I try to even be funny sometimes. In my opinion, the wine industry, especially the press side of it, has gotten a bit stagnant. Everyone says tannins are velvety, there’s a lot of wines that exhibit notes of cassis and red fruits. Yawn. My tasting notes are a bit unconventional. Look, I don’t care if it’s weird, if a wine tastes like blueberry jellybeans, by God I’ll say so. But also, every once in a while there may be something posted here by me completely unrelated to wine… but hopefully it will be good, and more importantly hopefully you’ll enjoy it. Isn’t that what wine is about in the end anyway? 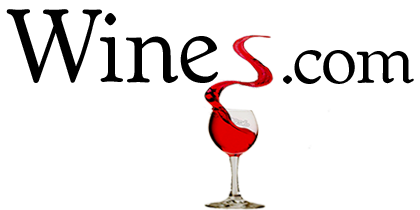 I figured for this week’s post I’d give a short little synopsis of my first official tasting for wines.com. A large importer put on a Burgundy wine tasting yesterday. It was, to be blunt, all kinds of mediocre and corporate; a lot of suits. Look fellas, I appreciate that you need to move product, but at least hide the fact it’s glorified dog show. No personality, no face, no warmth. To me that’s straying from the ideals of wine itself. Wine isn’t about three-piece suits and ‘nickel and diming’ 14 cents off a pallet. It’s about wine-stained shirts, green fields, laughter, and merriment. Just saying, given the option I’m hanging out with Ewoks from Star Wars over the Jedi every day of the week. Those tiny bears can party. The real thing I took away from the tasting was how nondescript a vast majority of the wines were. Granted they were all 2007’s-but still show me something. The real issue for me was that these producers have a worse grip on reality than Corey Feldman. I’m sorry, but buying an $8o/bottle wholesale Chorey-Cote de Beaune is preposterous. Look at it this way: that bottle is going for a minimum of $100, if you’re lucky, retail, wines.com has a 95 point Chateaunuf du Pape for $99. I get it, 1990 La Tache is the greatest wine ever made. Whatever. Just because the Yankees are worth $5,000,000,000 doesn’t mean I’m going to pay $3,000,000,000 for the Royals. Anyway, my rant is over. But I figured a few of the highlights from my notes of the tasting would be appropriate. Bare in mind I have notes on 21 wines, 6 had some form or another of ‘meh’. 2007 Chassagne-Montrachet “Morgeot” Chardonnay from Gagnard-Delagrange: Green apple nose, nice acidity. Tart in the mouth but still gets by with good sweetness, hints of ketchup. 2007 Chassagne-Monrachet Pinot Noir from Gagnard-Delagrange: Good nose, lightly cinnamony. Dies in the mouth, this wine is a wussy. 2007 Chevalier-Montrachet Chardonnay from Phillipe Colin: Nice fruit in the nose, exotic spices. Great citrus fruit in the mouth, under-ripe tangerines. Bitter aftertaste though; too young. 2007 Nuits-Saint-Georges Pinot Noir from Aurelien Verdet: Nice light lunch wine, smells and tastes of cherries. Nice, smooth finish, if a bit short. Best in show. Most posts won’t be this long, but I figured there might be some administrative nonsense to get out of the way. Coming next week: Tasting notes on 1947 Cheval Blanc; either pure, unadulterated ecstasy or soul crushing depression depending on how the weekend shakes out for the Blue Devils; me trying to sort out my priorities (see previous statement). P.S. I realize Zatara may sound fearsome, it means driftwood.